If you stay in one of our holiday cottages in Great Salkeld you will be spoiled for choice when it comes to interesting days out. Our village is ideally placed for so many different things – from walking to fishing to visiting historic castles and country homes, craft fairs and country shows … the list goes on. Here is a list of things to do in the area. One of the best loved gardens in our area and open to the public is called Acorn Bank (photo left). 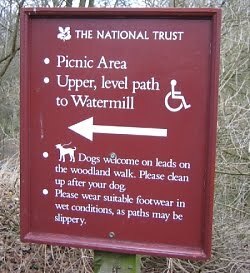 Owned and operated by the National Trust, it is best known for its herb garden. What’s more it’s just down the road from our village – 8 miles away and 15-20 minutes by car. 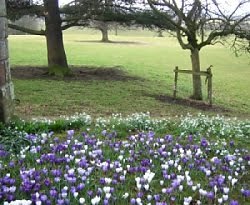 We visited Acorn Bank recently, just as it opened after a long and hard winter. Naturally, many of the plants had suffered because of the especially cold weather we had December-January but the promise of things yet to flourish and bloom again was definitely in evidence. 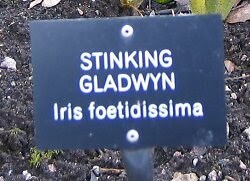 The herb garden is particularly interesting. It features over 300 varieties of herb, both medicinal and culinary. You will probably have never heard of some of them … wonderful names such as FIGWORT and STINKING GLADWYN that have an oldy-worldy sound about them. The fruit orchard’s key feature is the array of apple trees - mostly old, local varieties including the KESWICK CODLIN. The tea room at Acorn Bank even serves a delicious apple crumble made from the orchard’s apples! Beyond the herb garden and orchard are the woods where you can wander down to a watermill whose waterwheel actually turns on most weekend afternoons. Wildlife is also in evidence at Acorn Bank with the most common reports being of red squirrels and kingfishers. Our favourites are the NEWTS in the garden pond. 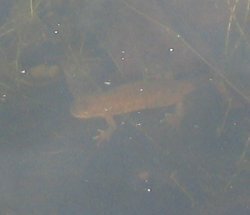 If you sit quietly by the edge of the pond you might just catch a glimpse when they decide to move. Fascinating creatures! This blog is now located at http://blog.wetheralcottages.co.uk/. Angle Pikes and Tarn - The best on the list. A day at "Via Ferrata"
Do Ya Ken John Peel? Howtown to Glenridding - a lakeshore walk.